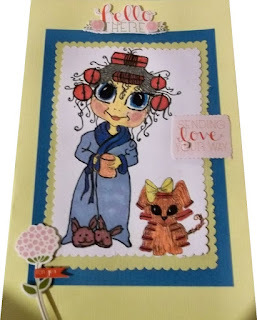 Made this card today using the digi stamp from Sherri Baldy's "Besties" collection. It is called "Cup Of Joe"
I entered this in the "Besties" challenge. Gorgeous card.Thanks for joining Besties challenge!